HHS wants to cut down on the effort it takes providers to put information in electronic health records and to meet regulatory requirements, according to a new draft strategy. To achieve those goals, HHS, led by the CMS and the Office of the National Coordinator for Health Information Technology, recommended simplifying Quality Payment Program and Promoting Interoperability reporting requirements, standardizing clinical information in EHRs, and improving the user experience of software for better workflows. These, among other processes, can help fix the problem of inefficient EHRs that aren't user-friendly, which can lower productivity, increase costs, and put patient safety at risk, according to the report, "Strategy on Reducing Regulatory and Administrative Burden Relating to the Use of Health IT and EHRs." The document, with recommendations that reflected both already completed work and work that remains to be done, was required by the 21st Century Cures Act. The report takes into account feedback HHS gathered from payers, providers, vendors and others. HHS focused on four areas in the report: clinical documentation, user experience of health IT, EHR reporting and public health reporting. Standardization cut across topics in the report. To improve clinical documentation workflows, for instance, the CMS could not only decrease requirements but could also standardize prior authorization and other processes. User experience could benefit from standardization, too. HHS suggested that vendors standardize elements of their software, including order entry content. The agency also suggested that developers create standards that make it easier to pull data from health IT software. One of those standards could be FHIR, according to the report, which highlighted the use of FHIR by a "major consumer technology" company—Apple presumably—to let patients download their health records. Some of the suggestions were more specific. For instance, HHS recommended that vendors improve speech recognition capabilities and put in place biometric authentication, both of which could make interacting with the EHR less onerous. 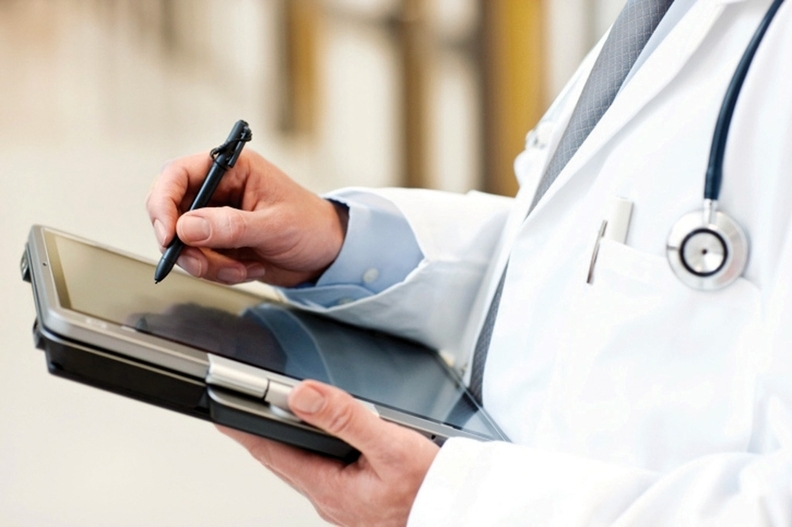 The CMS will also play a role in cutting down on EHR-related burdens, according to the report. The agency has already reduced required measures for the Promoting Interoperability reporting category under MIPS. But the agency could go further by simplifying scoring in the category, according to the report. The agency is continuing to refine the category, focusing on making measurement fit into clinical workflow and promoting patient and caregiver access to health information, among other areas. One of those refinements might be incentives for increasing interoperability, according to the report. "In addition to increasing economic costs through redundant data entry, this lack of true interoperability increases clinician burden and frustration as clinical data existing elsewhere is not easily located or transferred," according to the report. Provider organizations and vendors could mitigate this problem in part by involving end users in software implementation, a process during which they could help organizations choose the software and capabilities that would best suit their needs. Otherwise, health systems will continue to need to resort to sometimes expensive third-party vendors, like data warehouses, for easing the exchange of information. "Interoperability will not be achieved for users until their experience with electronic health information and technology has been made seamless and effortless, and, as a result, truly interoperable," HHS Secretary Alex Azar wrote in his introduction to the report. To that end, his agency is pushing for health information exchange processes that take into account both clinicians' and patients' experiences. Though the draft strategy included many references to interoperability and data exchange, it did not include any hints about the much-anticipated, long-awaited data-blocking rule, which the ONC is rumored to be releasing by the end of 2018. The agency kicks off its annual meeting in Washington, D.C., Thursday.